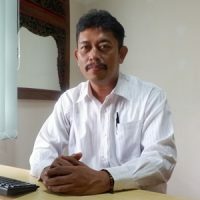 Name and Title Dr. Suranto, M.Pol. 2016 Simultaneous Regional Election National Seminar and Call For Paper: building political awareness and participatory communication towards strengthening governance. 2016 International seminar themed "Democracy, Election and Supervisitory Republic of Indonesia"
2016 Community Service Activities Village Planning and Financial Capacity Building Assistance. 2016 Scholarship Behavior Activities with the theme of the Implementation of the Merit System Model in Village Device Selection. 2016 National Seminar on "Governance Reform and Innovation"